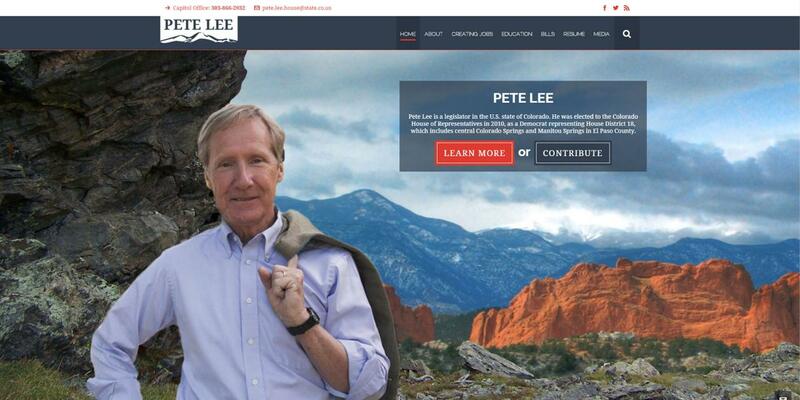 One of our local heroes is Pete Lee. Pete is the State Representative for House District 18 in Colorado Springs and Manitou Springs, and was recently re-elected in late 2014. 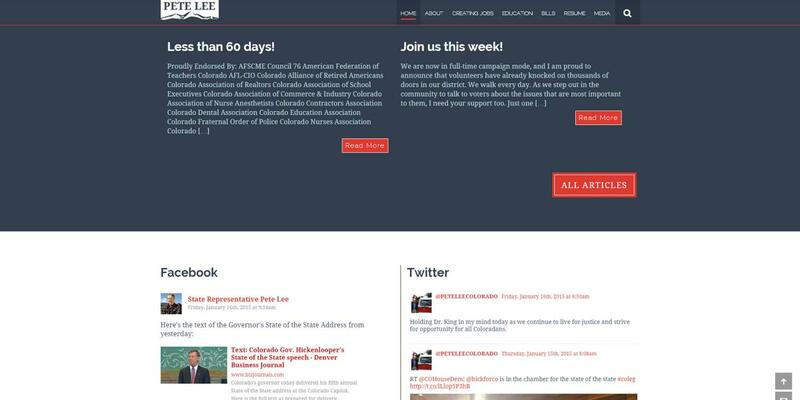 So when we were approached by their campaign to possibly be a part of redesigning their website, we were very excited! 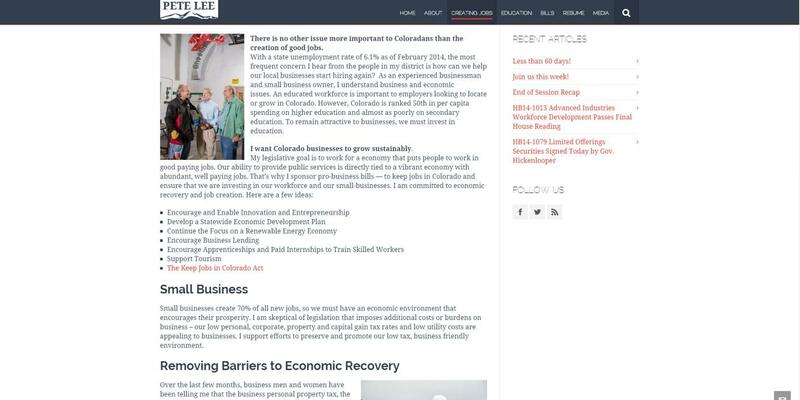 We went through his past site, and then proposed a new design through a series of mock-ups that we felt would help him stand out from a lot of the other websites used by legislators and politicians. Because of who he is, Pete needed something exceptional. We began by updating his website to reflect recent changes in web design. 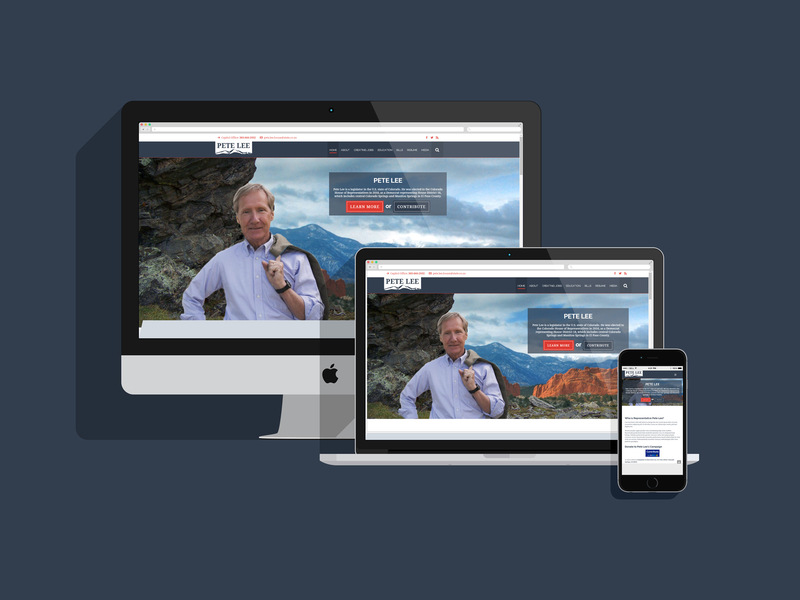 While the new site we built has similar branding elements to his previous site, the new site is responsive in it’s design, uses parallax elements on the home page, and is built in WordPress to allow for his office to be able to keep up with needed changes to the content of the site. This is a project that we were especially proud to work on!